This patient had his procedure with Dr. Armani in Toronto. 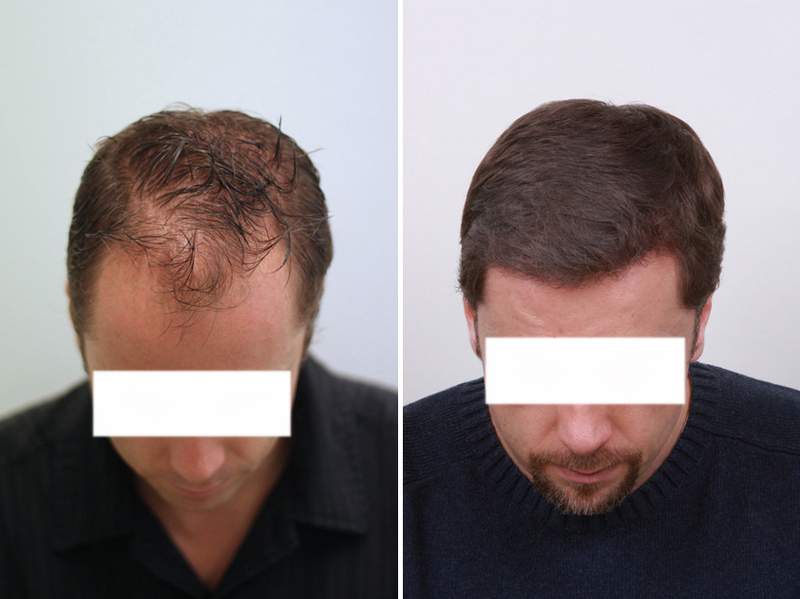 He had 3,475 grafts via FUE implanted in zones 1 and 2. There result photos were taken at 5 months after his procedure. Can you please provide the number of grafts that went into zone 1? And how much area on the front of his head do you consider Zone 1 to be? Thanks. 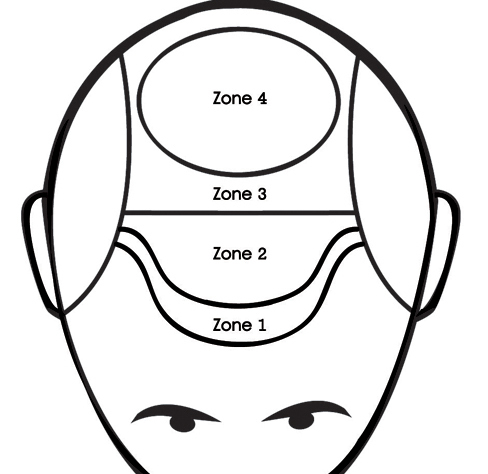 » much area on the front of his head do you consider Zone 1 to be? Thanks. This should help you get a better idea of the balding zones. Cool, I have never seen this sketch before, is this an industry standard that most doctors use? was this invented by Dr. Armani? Transporter I don’t know if you saw my post in the other thread, who is the other doctor you made an agreement with? 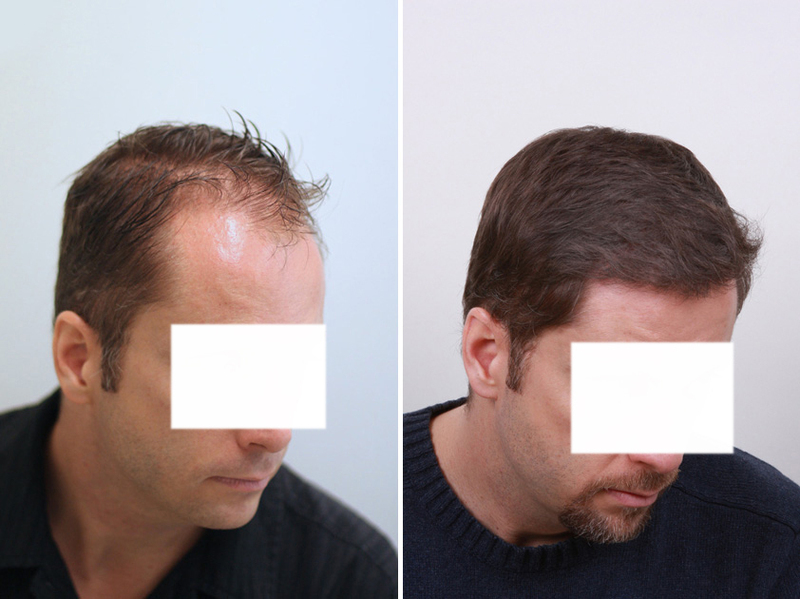 That’s a serious transformation for the number of grafts. I’m seeing alot of really impressive results being posted up by the Armani clinic at the moment. It’s really good to see that the before and after shots were taken in exactly the same bright, unflattering lighting conditions too. It lets us really see the work that’s been done and the results that have been achieved. Are there any post-op pics for this patient? » that most doctors use? was this invented by Dr. Armani? Yeah, that’s his own guideline that he uses to plan a procedure for the patient. It’s helpful in that it gives you a clear sense of the plan. He tells you roughly how many grafts would be going into each zone. Only 5 months? That’s a full head of hair right there, did he start using meds after the hair transplant? » at 5 months after his procedure. this is a great result for such a short time. Pats…can you explain why a majority of the armani patients are getting good results within 6 months when a lot of other patients are taking a full 12 months most of the time? or are you just showing best case scenarios from your patients? Thanks. So how much went into zone 1? See my response to Sofarsogood on the other thread. » » at 5 months after his procedure. » when a lot of other patients are taking a full 12 months most of the time? » or are you just showing best case scenarios from your patients? Thats a really nice result and transformation. Redman77. I had a 4055 graft HT with Dr. Armani on July 5 of 2006. I was a very fast grower and it pretty much had all grown in by the 6 month mark. Some people are fortunate to be early growers while others take longer. I think this occurs at all the other top clinics as well. Something isn’t quite right here. Can we see the intra-operative pics? Those temples don’t make sense. Something just ain’t right here. » » » at 5 months after his procedure. » » or are you just showing best case scenarios from your patients? » the other top clinics as well. what NW level were you before that? do you have any photos? Pats - how is your crown looking lately? Definitely not common to have that much density in only 5 months. 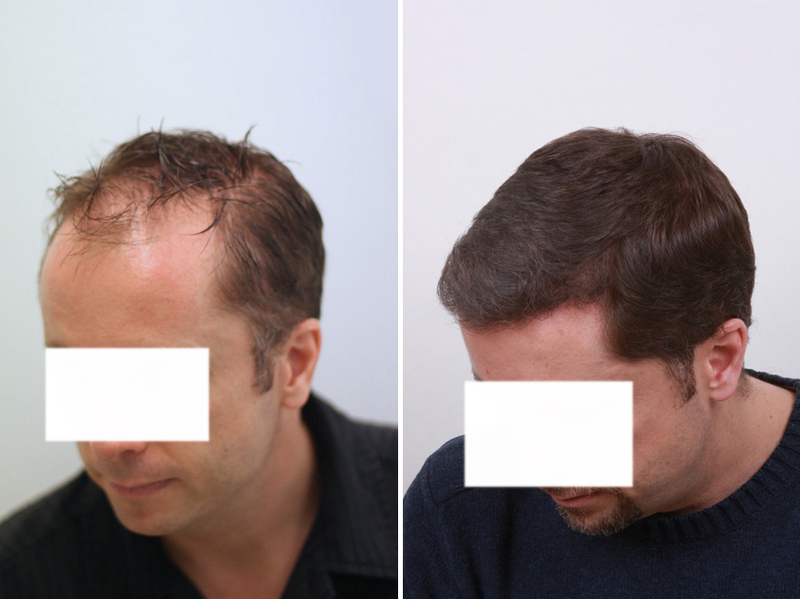 Another top notch result by my soon to be hair transplant surgeon. Great results - day and night transformation. Will become MUCH MORE dense at his 12 month post-op mark! The dry/wet thing would still work in favor of making the transformation look stronger. It would be nice to see either the after pics wet or the before pics dry at some point. However the rest of it looks remarkably “fair.” The lighting looks very consistent which is good to evaluate the before/after difference. The set was obviously attempting to show the same angle & lighting both times. Wow, those results are amazing! The density is really nice. I am sure the patient is really happy. That guy has extremely good results, he’s definitely a sprouter…lol.